Budgets are a necessary part of modern life – well, necessary IF you have financial goals and IF you desire to balance your income with your spending. If neither of those are true, I guess you don’t need a budget. For the rest of us, a budget is required. For many families in contemporary society, it is common to have a paycheck deposited twice a month and then proceed to spend that paycheck without ever seeing a paper bill, a coin or any other kind of hard currency. Employers paying employees with physical checks is even rare. Years ago, households were limited to spending only the physical money that they held in their hand or that was stowed under their mattress. Without money in hand, it was nearly impossible to purchase anything. There was no requirement to keep a written or electronic record of inflow and outflow. Today, we have a harder time keeping track of our money because cash is no longer required for most transactions. We can overspend without any hard currency. It is amazing to watch how quickly spending can pile up with a credit card. Swiping plastic is an incredibly easy and painless way to buy stuff. The problem is that the money we are spending is still just as real as the greenbacks we unfold out of our wallets or peal off our money rolls. It just does not hurt as much, even when we spend more than we have. 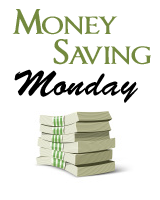 Most people spend ten to twenty percent more money when using a credit card versus cash. A budget is the only real way to keep track – unless you never, ever use a credit card. Even if you limit yourself to debit cards and online bill pay only, you might still be forced to keep track of your finances with a budget. Funding one’s own retirement was not an issue for our ancestors. First, most people planned to work until death (more or less) and if they could no longer work, they had to depend on family, church and community to care for them in old age. In modern society, we expect to retire at a relatively young age and then self-fund that retirement through savings and investments built up throughout our lives. A budget can show how much money is required for your particular lifestyle expectations in retirement and help you monitor your progress toward that goal. A budget can ensure that you save or invest the correct amount of money each week or month and since those funds are not sitting in a sack in your cellar, a written or electronic budget is needed to tell you the location and amount of your money. 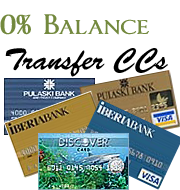 The average person has eight to ten credit cards. Add a car loan, a house loan, school loans and possibly a HELOC or second mortgage and it is common to have fifteen or more lines of credit. Obviously, not every line of credit might be carrying a balance, but if you only had a balance on five or six of those lines of credit, would not that be enough to force you to keep track of your payments and balances? Years ago, credit cards, school loans and second mortgages did not exist. Even home loans were rare. People bought or built a house when they could afford it, worked their way through school and would have never dreamed of the concept of a credit card. A budget is critical to keeping track of debt and debt payments. A budget helps you plan your life around your debt – because that is what many of us have been forced to do. A budget takes into account all of the various factors relating to income and spending and will then tell you if one side needs to be increased or decreased. Without that budget, it is impossible to see the forest.